Bluegrass Pundit: Surprise! Iran has an underground missile base. 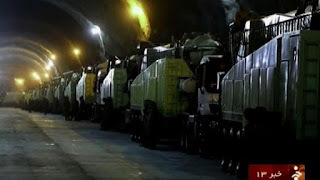 Iranian state television broadcast unprecedented footage Wednesday of a deep underground tunnel packed with missiles and launcher units, which officials said could be used if “enemies make a mistake”. The footage also came a day after Iran’s parliament approved the country’s July 14 nuclear deal with six world powers.